DJ, Stephanie, and Michelle – Adopted! DJ, Stephanie, and Michelle — ADOPTED! 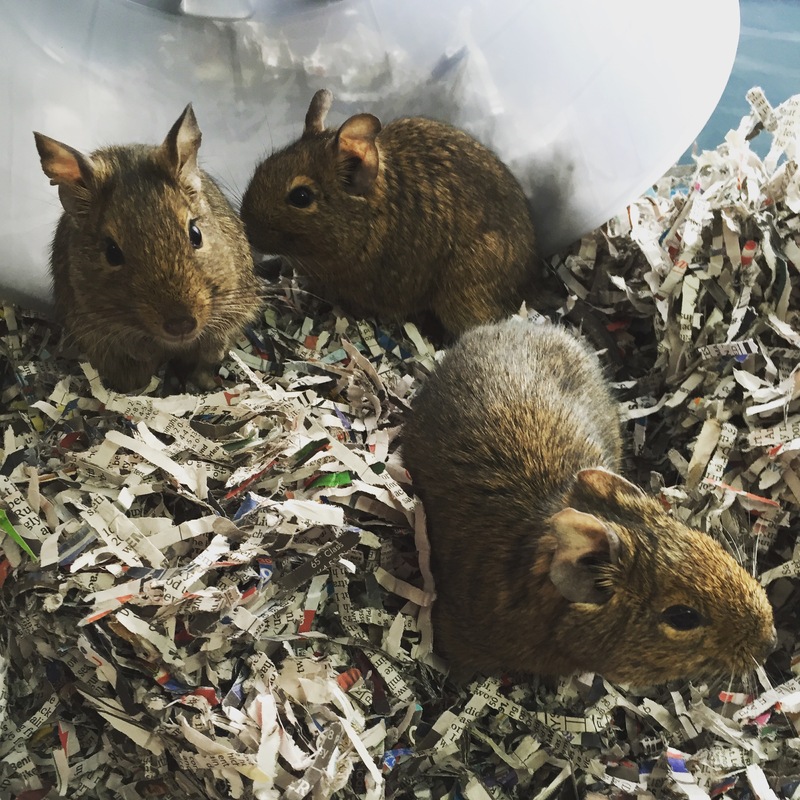 Our featured Pet of the Week is a trio of degus – the Tanners are super social, playful, and a lot of fun to watch. They have been in rescue for three months now and would love to have a home of their own. Degus are social creatures and should either be adopted together or to bond with a degu already in the home. Check out the pet care guide for more tips on caring for degus, then apply online if you’re ready to add the Tanners to your family. Author Heather SokolPosted on June 26, 2016 July 17, 2016 Leave a comment on DJ, Stephanie, and Michelle – Adopted! Evie, water turtle — ADOPTED! 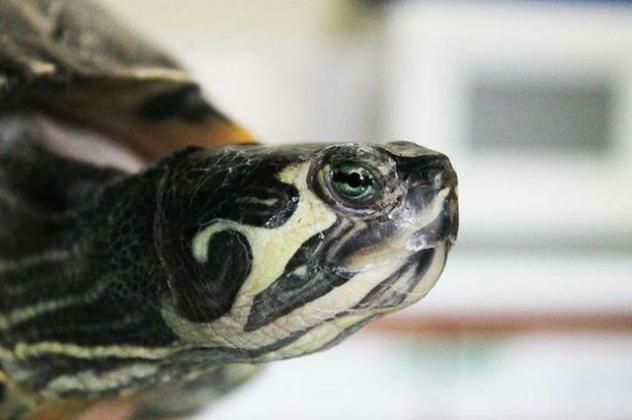 Our featured pet for this week is Evie — a super sweet, incredibly social water turtle. She is currently in foster care along with Ollie and Willow, but they can be adopted separately. As a nearly fully grown yellow-belled slider, Evie will require a large setup. She loves blueberries, sunbathing, and turtle yoga. She also wants your full attention, but you’ll have the sweetest friend for life. Evie has been adopted, but we are happy to add you to our wait list for future water turtles. Check out the pet care guide for more tips on caring for aquatic turtles, then apply online if you’d like to be added to the wait list. Author Heather SokolPosted on June 19, 2016 July 17, 2016 Leave a comment on Evie – Adopted!